Working at Red Dot is a unique, challenging, and energizing experience. We work in an extremely fast-paced environment, and thrive on high levels of ambiguity and uncertainty. This calls for skillful sense-making, a ton of discipline, and a passion for rapid and infinite learning. 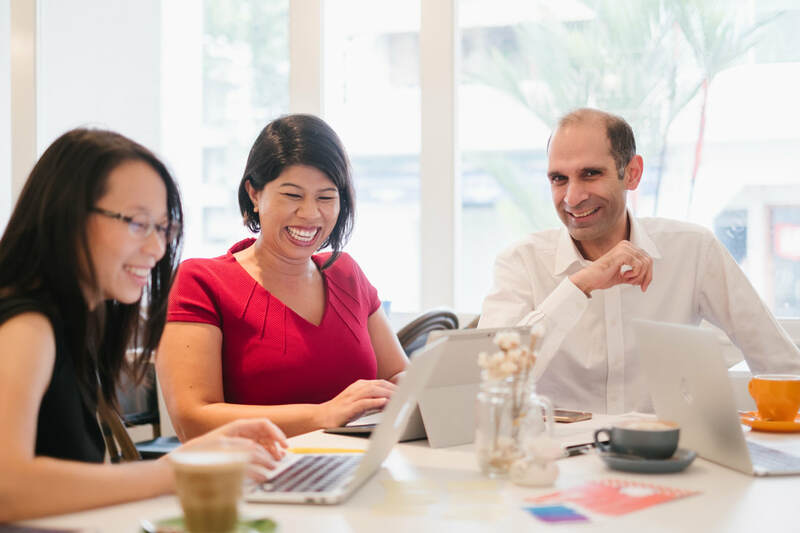 Joining Red Dot will offer you many "heat experiences" which we believe are the best ways to grow in your own personal transformation and leadership journey. Our work in innovation invites us to see the world and wonder "why not", bringing our whole selves to reimagine the possibilities. We value entrepreneurial people who are bold AND action-oriented, who know how to quickly turn ideas into real experiments and action. We love the misfits who don't fit in a box, who have chalked up a broad range of eclectic experiences, who enjoy a culture of excellence, and who now want to do the best work of their lives to make an impact. We believe that transformation happens, only because our people are extraordinary, and because they care. Don't see a position that fits, but feel like you're meant to work with us? Email us, and tell us why you're the one we've been looking for.